The German company Boreal Light GmbH has announced that it will build 19 desalination units in several counties of Kenya. Present in this country for some time, it offers drinking water to the population "at an affordable price". 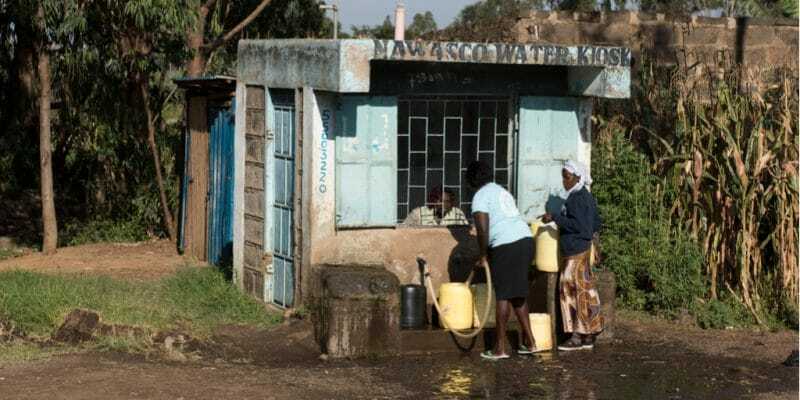 The German company Boreal Light GmbH has recently inaugurated a drinking water kiosk on the Pate Island, Lamu Archipelagi, a county in Kenya, off the Indian Ocean. To obtain this consumable water, it had to go through the desalination of brackish water. “Pate Island and all of Lamu County suffer from salt leaks in their boreholes as well as bacterial contamination. This water salinity affects not only households and businesses, but also farmers,” says Hamed Beheshti, co-founder and CEO of Boreal Light. The company has built a desalination unit on the Pate Island that uses solar energy. It is capable of supplying 2,500 litres of purified water. On site, in its kiosks, the company sells 20 litres of drinking water for 10 Kenyan shillings, less than one euro cent. Affordable! The facility also provides water for drip irrigation in plantations where garlic, bananas, tomatoes and cabbage are grown. It has decided to install other desalination units in other counties of the country. Boreal Light plans to build 19 additional desalination units in Kenya in the coming months. The Berlin-based company recently announced that it has selected several counties to install these units. These are Turkana, Wajir, Kwale, Naivasha and Mombasa. They all have common features: they are dry or seaside areas where it is difficult to find fresh water. “After desalination and purification, we are taking another step towards mineralisation,” explains Boreal Light’s CEO. Boreal Light’s desalinated water kiosks are currently available in Kitengela, on the outskirts of Nairobi, Kenya’s capital, in addition to the Lamu Archipelago. The project for new desalination units is a foretaste for the inhabitants of Mombasa County. The water it will consume in the future will come from desalination since a large factory is being built in its capital city. The work is being carried out by the Spanish company Almar Water Solutions and the Swiss company Aqua Swiss. The plant, which will be commissioned in 2021, will have a production capacity of 100,000 m3 per day.